Dusk falls on the fairy-tale-like Eagles Mere Inn. 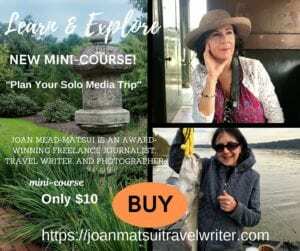 All photos by Joan Mead-Matsui, travel writer, photographer, and videographer. 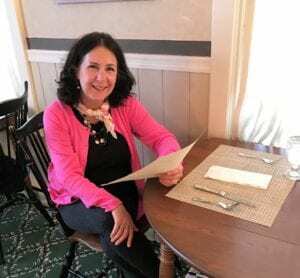 What draws someone to a particular location varies from person to person but The Eagles Mere Inn, a Sullivan County landmark, is a favorite among folks who yearn for a peaceful country setting. After several visits to Eagles Mere, Pennsylvania over the course of 20 years, I can’t understand how anyone could forget the timeless beauty of “the town that time forgot.” In 2017, I had an opportunity to experience Eagles Mere as a guest at The Eagles Mere Inn. 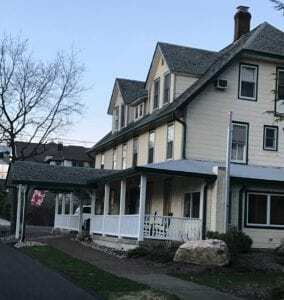 The inn is far enough from the busy Route 42, the main road through the borough, yet only a short walk to the center of town and Eagles Mere Lake – two prominent hubs for year-round activities. Eagles Mere is a family-centered hamlet that was founded in the early 1800s as a glass factory. By the late 19th century, the town had evolved as a mountain resort community renowned for its grand turn-of-the-century Victorian summer homes or “cottages.” The population grows from 120 full-time residents during the off-season but as summer arrives that number can grow to more than 3,000. 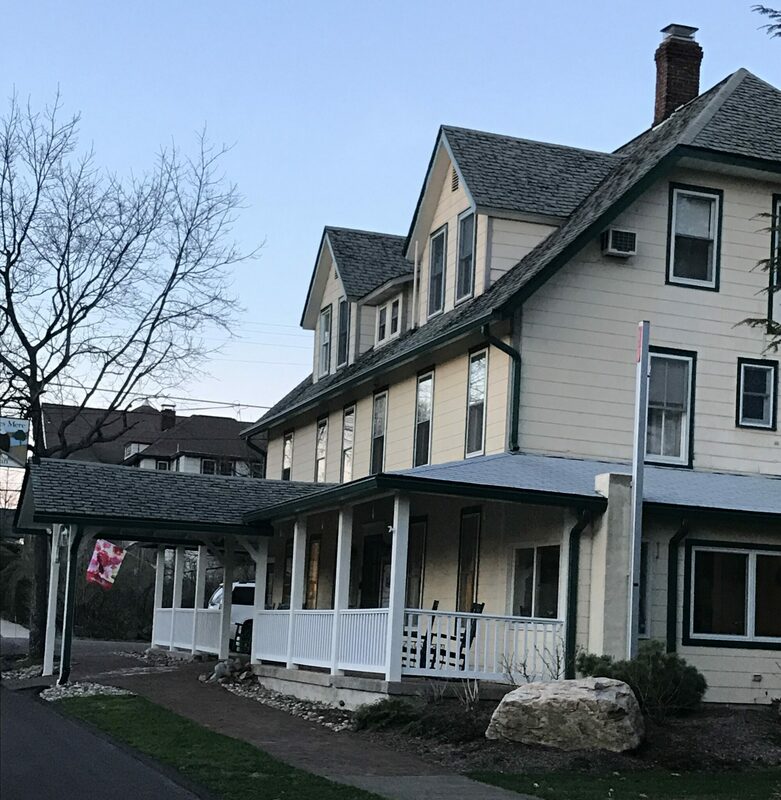 The Eagles Mere Inn was built in 1887 and each guest room highlights historic places, events, and people prominent in the borough’s history. 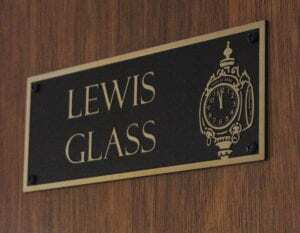 The Lewis Glass Suite is named after the George Lewis Glassworks Era from 1804 to 1830. 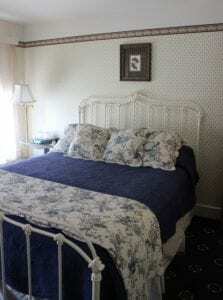 Located on the second floor of the inn, this two-room suite features a painted iron and brass queen bed, five delightfully large windows, sitting room with a sliding door partition, love-seat sleeper couch, 24″ smart television, comfortable chairs, and a private bath with a shower. All but two rooms have a television but you can certainly bring a book to read, a journal, and/or a drawing pad and pencils as a much-needed break from electronics. Eagles Mere is a haven for environmental preservationists and birdwatchers so be sure to tuck a pair of binoculars in your suitcase. All four seasons afford opportunities to catch a close-up glimpse of the wildlife that roams on hundreds of acres of nearby land. Eyelet, handmade quilts, and soft cotton linens are all part of the appeal. Each guest room has a signature style that’s in keeping with the era and name given to each accommodation. 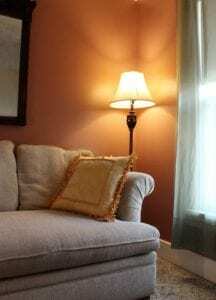 By day, the light floods in and in the evening, the sitting area is a comfortable retreat after an activity driven day. Open your windows and allow the sheer curtains to sway with a delightful country breeze. Guest rooms are air-conditioned in case you decide fresh air is not your bag. 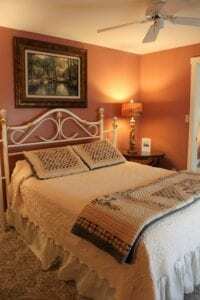 Each guestroom has its own color palette and furnishings that reflect a simpler time. The Whirlpool Room, standard king and queen rooms, junior suites, deluxe suites, select king rooms and standard full rooms are your lodging options. Accommodations range from $129 to $199 and a hearty country breakfast is included in the room rate. Romantics can explore Eagles Mere for the entire month of February thanks to a special Valentine’s Day offer. Celebrate Valentine’s Day with a “romantic weekend package” when you book a Friday, Saturday, or Sunday stay. That package includes the room, breakfast, 3-course dinner, wine, roses, and chocolate. 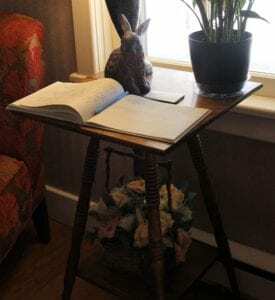 Call the Inn (570)-525-3273 to book your stay. Ordering from the small plate menu allows guests to sample a bit of this and a taste of that. 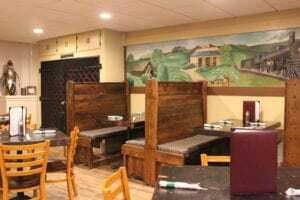 Taste testing is a fantastic opportunity to sample and share a variety of menu items. Sometimes, choosing one entree is daunting if you can’t decide what suits your taste buds. A.C. Little Drinkery at Eagles Mere Inn pub appeals to a wide range of tastes. 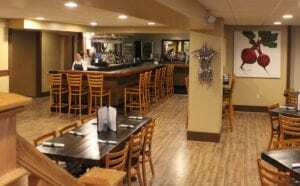 A.C.Little’s Drinkery, located on the inn’s lower level is pub-style and casual and an ideal setting to relax or catch your favorite sporting event on television. Dinner is available from the inn’s small plate menu and you can find your perfect brew from among the selections from local wineries and micro-breweries. A current menu is available at this link. The same menu is also available for diners who choose to have dinner in the dining room located next to the lobby. Be a part of The Eagles Mere Inn history. Sign the guest book located in the lobby. Couples planning to marry or individuals looking for an intimate, picturesque venue can also reserve the beautifully manicured grounds for parties and events of all kinds. Eagles Mere offers many scenic vistas and locations for photo ops. What do snow and ice bring to Eagles Mere? The famous toboggan slide has entertained residents and visitors since 1904. Created by the volunteer fire company, the slide is especially fun for thrill seekers. Sledders have been known to race down the hill at speeds up to 45 mph, according to townspeople, also known as “cottagers” who own second homes. Eagles Mere provides the setting for anyone with an affinity for winter. Details can be found here. Eagles Mere Lake covers 114 acres and is surrounded by hundreds of acres of forest. 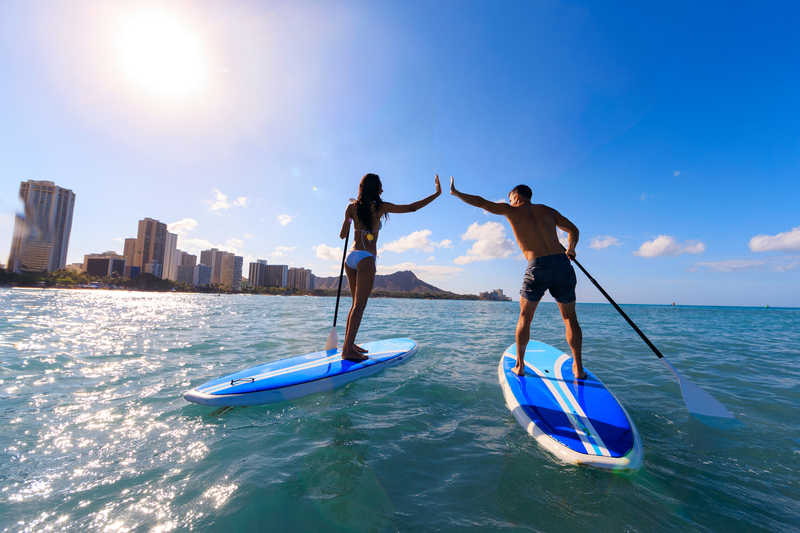 Inn guests receive complimentary lake passes that can be used to swim at the beach or paddle their way around the lake in the innkeeper’s two kayaks. Golfers can get in a round of golf during their stay at The Eagles Mere Inn. Reservations and an overnight stay are all you’ll need to enjoy the inn’s membership benefits at the Eagles Mere Country Club. Learn more about the club’s rich history that dates back to 1911. Eagles Mere is a treat to visit. We all need a healthy dose of yesteryear and history to fully appreciate life today. Specialty shops, a noteworthy bookstore, the old-fashioned sweet shop, museums, an enchanting selection of country inns, cottages, and rentals; and a private golf club are a few of the reasons why Eagles Mere continues to draw thousands during peak tourist season. When you want to venture out of town, on the outskirts, you’ll find spectacular waterfalls and plenty of nature on hiking trails. During the winter months, one might see Eagles Mere as a ghost town but rest assured, that’s merely an assumption and not entirely true. Don’t let that stop you from planning a romantic fall, winter, or early spring getaway. Follow this link for more information about Eagles Mere. 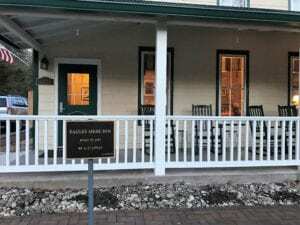 The Eagles Mere Inn is located at 29 Mary Ave., Eagles Mere, PA. You can reach out to the innkeepers at 570-525-3273 or visit eaglesmereinn.com/inn. 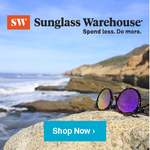 This post was created by GetWedSoon. Today, people are looking for something new and exciting, be it in their career or weddings. Speaking of weddings, there is a new trend in town that seems to be redefining the basics of the wedding ceremony for good. Thankfully, everyone is now fed up with over-the-top wedding functions and the stress that comes from micromanaging them at every turn. 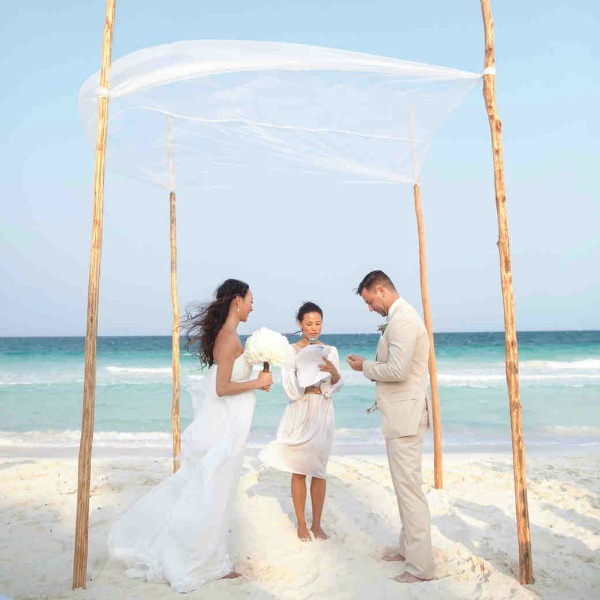 More and more couples are opting for the relaxing and fun-filled destination wedding option to make sure that their wedding day turns out to be super special not just for them but for everyone involved. 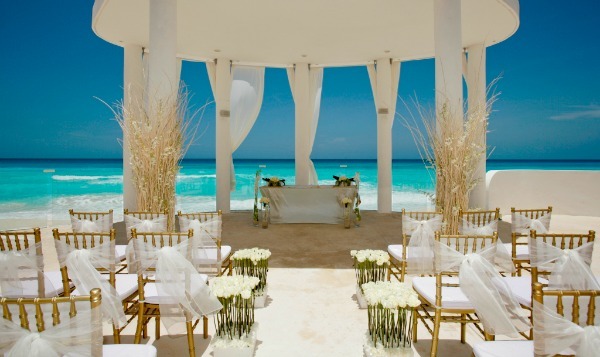 Are you dreaming of a destination wedding? Your family, your to-be in-laws, their guests and everyone else that just happens to pass by your destination wedding venue will surely catch a glimpse of the breathtaking view that it unfailingly projects. Now, if you want your destination wedding to be as legendary as it has been portrayed in latest bridal magazine covers and social media posts then you need to take care of only a few crucial things. In fact, the hospitality and wedding industry is proactive enough nowadays to guess all your requirements right beforehand and offer you just the package you are looking for. Still, there are some things that you need to take care of. And for that, you can take a quick look at the few essential points mentioned below and be all set for your big day (or the big week…as your schedule and budget might allow!). 5 Ways to Make Your Destination Wedding OUTSTANDING! So when you think about your wedding, you don’t particularly imagine the biggest celebration of the century. 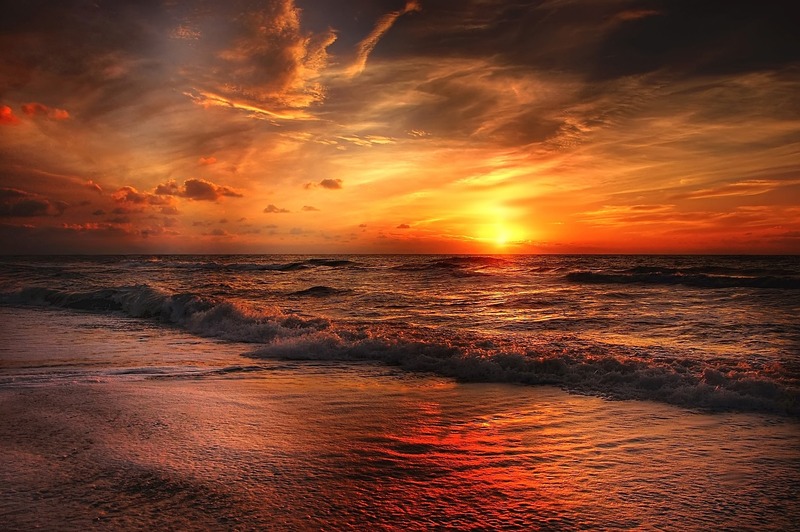 But what you do imagine is a memorable time that is cherished equally by you and your loved ones. Planning ahead while keeping the common interest in mind is of prime importance. Organizing a wedding ceremony at a third location does require you to do a bit of homework, no matter how many helping hands you get on the way. The good news is, planning a destination wedding is far easier and lower on stress as compared to your traditional banquet hall ceremonies. Think of it more like an extended family vacation at the end of which you two crazy kids decide to elope but with your entire family in tow! You might think that as long as it is exotic, it is perfect for a destination wedding but that is not quite so. See, you don’t want to be freezing in your wedding pictures. Nor do you want to appear as a melting snow cone in your wedding Instagram feed. You want to look flawless! Or at least your usual joyful self. To make that happen, you need a destination that brings out your cheerful vibrant side. That can be arranged with a Caribbean destination wedding where the balmy weather always seems to be playing hide and seek with the sun. The destination can be any other remote or popular island spot (as your preference might be) or even a place not too far removed from the shores such that you get to enjoy the breezy weather from the second you step into your wedding venue. If you can afford to fly in all your guests to the wedding destination then it’s great. Else, you must pick a destination that is easily accessible and not too hard on the frequent air miles of your kith and kins. Your wedding should not be the event where your relatives and close friends have to pay through the nose just to reach the location on time. So you picked a calm and serene location for your wedding. But, when you finally arrived with your entire bandwagon, it was raining cats and dogs. The hair-curling humidity became the common theme of the party and your wedding pictures are going to be a proof of this slip-up forever. You don’t want this to be the uncomfortable reality of your big day. To make sure that your finalized wedding spot remains as appealing during your ceremony, it is always advisable to coordinate with the local authorities. Or, you can always google how the weather conditions usually are around the time you have scheduled your nuptials. These small but notable precautions will help you evade any major disaster thus making sure that your special day is a smooth sailing affair. Most the popular wedding locations have proper facilities for wedding processions complete with a qualified wedding planner. So you can always pick their brain about the best timing for an all out gala or quiet ceremony. They will give you professional advice and save you from learning harsh lessons about the local weather firsthand. When it comes to planning events, somehow the budget always keeps on burgeoning no matter how hard you try to conform it according to your requirements. The best way to troubleshoot this age-old problem is by planning your wedding around the budget. This way you will know best what you absolutely cannot do without in your wedding and what can be easily avoided. The wedding industry has become a billion dollar business not today but it has been so since time immemorial. And it is not just the story of one country or continent. Extravagant weddings are the trend that we humans have been blindly following since the beginning of civilization. So be smart and use the resourcefulness of the global wedding empire to your advantage. Instead of following trends, opt for the traditions that have been passed down in your family for generations. This way you will be preserving the sanctity of the wedding ceremony without giving in to the superfluous temptations. Usually, even after all this careful budget monitoring, you will surely end up spending just a bit over your prefixed budget. But if by some miracle, you are left with something to spare then you can always extend your stay in the heaven! Guests. Without them, there is no party but with the troublemaker types, you end up putting out fires all night. So, you need your guests to be in a state where they are just too busy to start some trouble but not busy enough to notice all that you have planned out just for them. You can either take care of this with the help of your family or you can hire an expert wedding planner that specializes in making the guests swoon over your party-planning skills! Focus on everyone’s needs and likes when planning a destination wedding that includes family and friends. Your close relatives, friends and all other well-meaning acquaintances who have flown out from different corners of the globe do deserve to be pampered quite a bit during their stay. And in order to let them know how much you appreciate their efforts and them in general, you can plan a string of activities and gifts around their hobbies and preferences. By planning out something special for everyone in attendance, you will only be adding more glory to your day. So instead of focusing on only what pleases you, plan it out to include the likes of everyone. Your celebration will become the talk of the town, or at least your social circle for as long as the next similarly amazing get-together comes along! …And Don’t Forget to have Tons of Fun! Planning (Use this 6-month Wedding Planning Timeline), budgeting, tracking and a lot of other activities will fill up your weekends and sometimes even weekdays right before your bohemian destination wedding. But you must make sure that you have tons of fun every step of the way. Because that is the only reason you are flying half way across the globe along with everyone you love and care about. It is important to be organized and prepared in life and it’s big as well as small events. But when we forget to enjoy the ride, the efforts become useless. 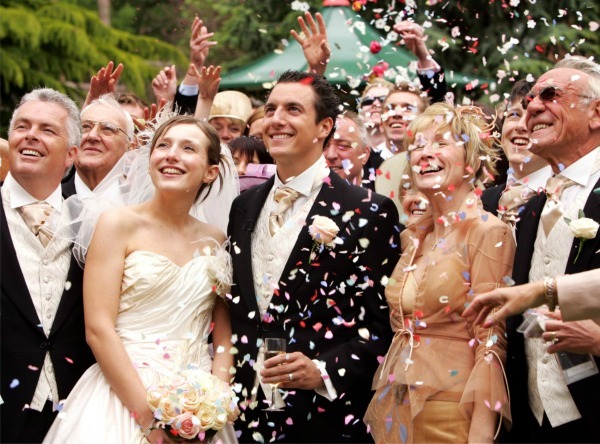 So, make a fun-filled wedding your priority. Then add a dash of exotic destination flavor to it. Season it with DIY group activities and you will have the recipe of a perfect matrimonial celebration ready in no time! Our life has only a handful of milestone moments, and how we approach and celebrate these moments will ultimately shape us. These moments are temporary pauses that life gives us to reflect on how we’ve lived until now and how we would like to continue. A wedding is a double celebration for the two individuals who are about to enter into a holy matrimony and start an all new journey, together. You want to make the right start to this timeless journey. And what better way to do so than by picking a destination that you both like and inviting all your friends and family to celebrate this union and shower you with their blessings. This will give you a chance to sneak into a world of your own for a while and admire how beautifully your life is actually shaping up. And gazing up to see the starry night sky from time to time with someone really special!